Warning! If you have a swarm of bees that are threatening the safety of you, your family or your neighbors, don’t hesitate – call your Hawaiian Gardens bee removal experts at Bee Busters! With a focus on youth and one of the few places in the Greater Los Angeles Area that allows gambling, people really can make their fortune in Hawaiian Gardens. The Hawaiian Gardens Casino is a major source of revenue and the major employer for the community. The great location and unusual name of this small city make it a great place to live in. But, you might also find issues with stinging insects like bees and wasps. You can contact a professional Hawaiian Gardens bee removal company to handle problems with these bugs. 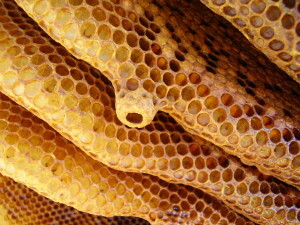 Bee services include rescuing bee colonies, re-queening bees and full removal. Paying attention to your property can reveal when you need to seek a bee removal team. If you are seeing bees in a location that seems unusual, and lacks food (flowers) or water, you may have a colony of bees. This colony may be exposed in a dense tree but more often will be inside a hollow in a tree, wall, or other object. Having a qualified team to remove unwanted bees, wasps, and yellow jackets provides major benefits. One of these is the prevention of resettlement because bees leave behind pheromones that can attract other colonies. Professional removal of the honeycombs followed by tips for sealing the area can prevent another swarm from taking up residence. Removal also prevents damage from other pests or wax and honey. Bee Busters, Inc. provides residential and commercial services. We are equipped with innovative tools in the country, working in your community to relocate these endangered species into safer territory for both bees and you. Hawaiian Garden Bee Removal – Bee Busters are ready to seek out and remove the colony or swarm and the honeycombs unwanted bees have created. Since all wild swarms now have Africanized Honeybees safety is a primary concern, so we advise against the property owner attempting removal on their own. We also ensure prevention of future bee related issues is possible. 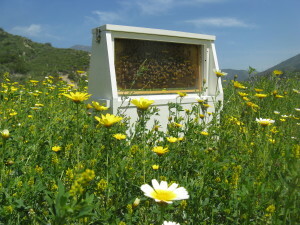 Bee Keeping – We offer beekeeping, pollination and educational services. We also offer fresh honey for sale. Our educational programs include teaching others about becoming a bee keeper as a hobby and about bees in general. Keeping domestic bees is a great hobby for any age. If you want more information, please give us a call. For over 25 years, Bee Busters, Inc. has been providing Hawaiian Gardens bee removal, rescue, educational and keeping programs. For any problem related to swarm or colony, contact us today at 949-497-6264. 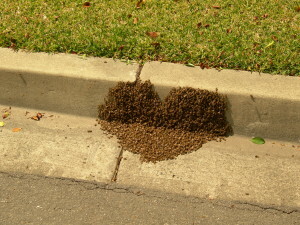 Call your Hawaiian Gardens bee removal experts!